Investing.com – The Dow ended its three-day winning streak Wednesday as a slump in video game stocks offset gains in healthcare stocks. 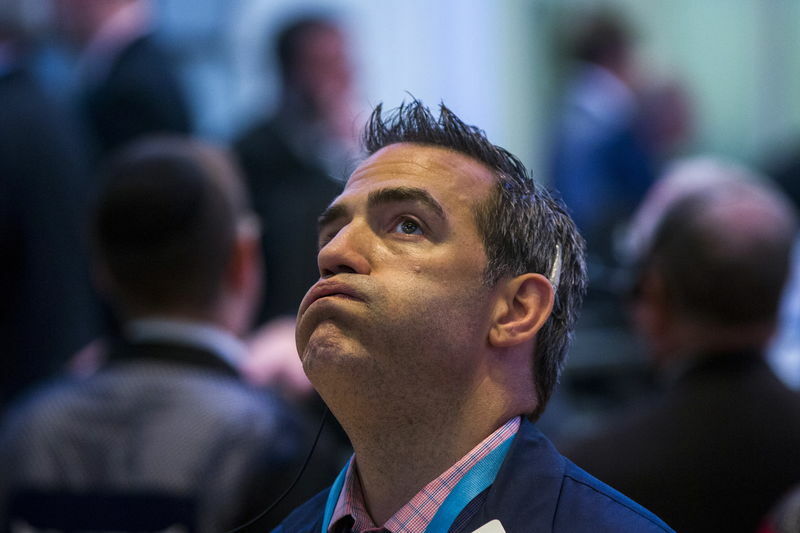 The Dow Jones Industrial Average slipped 0.08%, the S&P 500 fell 0.20%, while the Nasdaq Composite lost 0.36%. The S&P 500’s loss was its first after five straight gains. Electronic Arts and Take-Two Interactive came under heavy selling pressure after delivering quarterly earnings and guidance that fell short of estimates, fueling fears video game earnings may have peaked. Electronic Arts’ (NASDAQ:EA) third-quarter earnings of $0.86 and revenue of $1.29 billion undershot Investing.com’s estimates, sending its shares 13% lower. Take-Two Interactive (NASDAQ:TTWO), the maker of the hit game Red Dead Redemption 2, missed Investing.com’s third-quarter revenue and earnings estimates. It also guided fourth-quarter revenue in a range of $530 million to $580 million, below expectations. The duo of negative reports weighed on rival game publisher Activision Blizzard (NASDAQ:ATVI), which fell 10.1% ahead of its quarterly report due Feb. 12. That offset gains in the healthcare sector, led by a 2.7% rise in Boston Scientific on better-than-expected quarterly results. Boston Scientific (NYSE:BSX) reported earnings of 39 cents a share, above investing.com’s estimates of 36 cents a share. While revenue of $2.56 billion was in line with estimates. Energy stocks also weighed on the broader market, falling 0.7% even as U.S. oil prices ended the day higher on data showing a smaller-than-expected build in crude supplies.